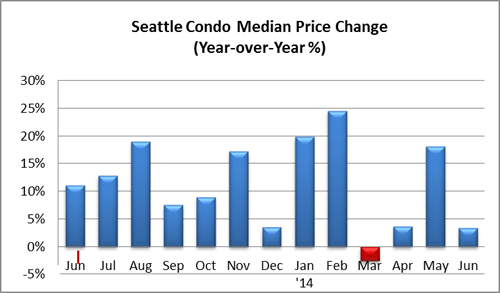 The June Seattle condo market numbers reflected the seasonal summer plateau in the market place. 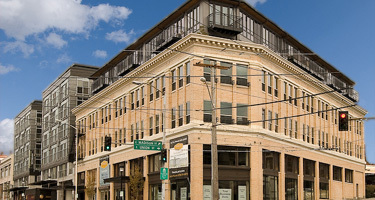 Overall, the figures show across the board improvement including an increase of the citywide median condo sales price to $309,000, a 3.33% year-over-year and a 1.0% one-month rise. 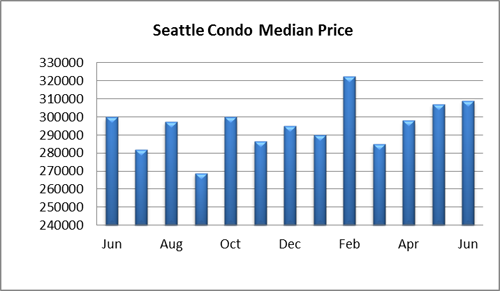 Excluding February’s $322,500 citywide median sales price, which was more of an anomaly, last month’s Seattle condo median sales price was the highest since February 2011. 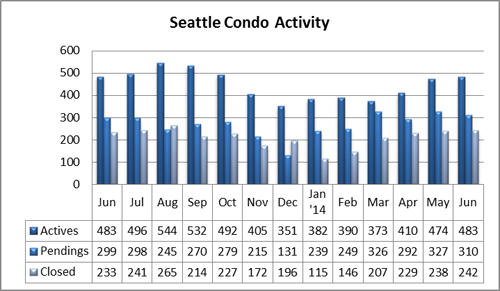 The number of available Seattle condo units for sale remained flat compared to last June, though it did increase from May by 1.9% to 483 units. 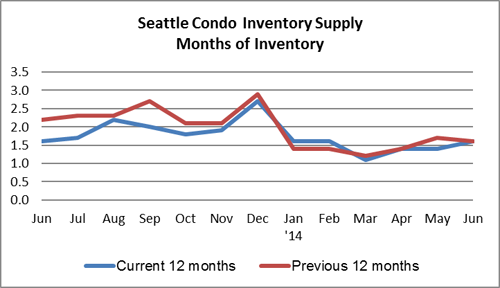 The condo inventory supply rate inched up slightly to 1.6-months of supply based on pending transactions. Still very much a seller’s market. The figures above does not include the under construction presale units at Vik and Insignia, where there are approximately another 300 units between those two. Compared to the same period last year, the number of pending transaction (accepted offers) rose by 3.7% to 310 units, though that was 5.2% fewer from the month before. This is to be expected as the market typically plateaus during the Summer season. 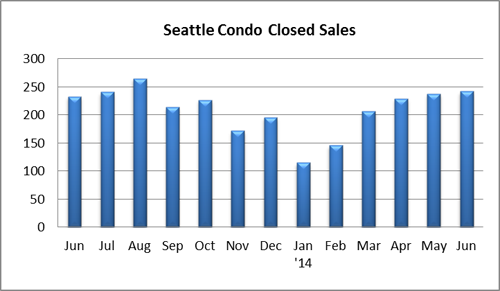 The number of closed condo sales increased to 242 units, a 3.9% and 1.7% bump from the prior year and month, respectively. 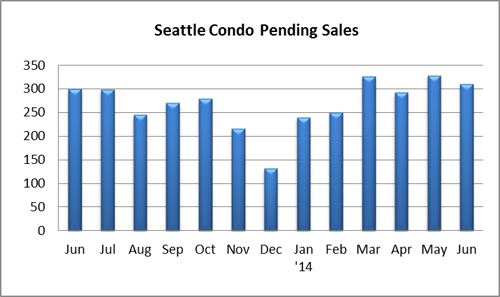 The number of closings will taper off as the pending sales volume declines.